Olá leitores do Doce! Aqui Fedra de volta com um novo post com sabor a calor e a verão! Num jarro, mistura o sumo de toranja, o sumo do limão e da lima. 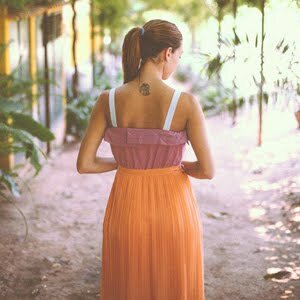 Passa os sumos por um coador para remover qualquer polpa. Junta a pitada de sal e o xarope de açúcar*. Espero que gostem e que estejam a ter um excelente verão! 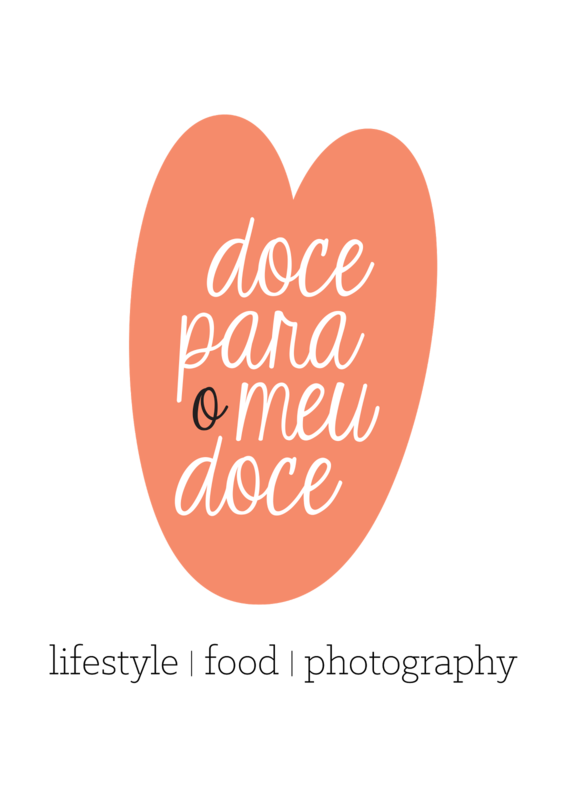 Hello Doce para o meu Doce readers! It's Fedra here, back with a new hot and summery post! 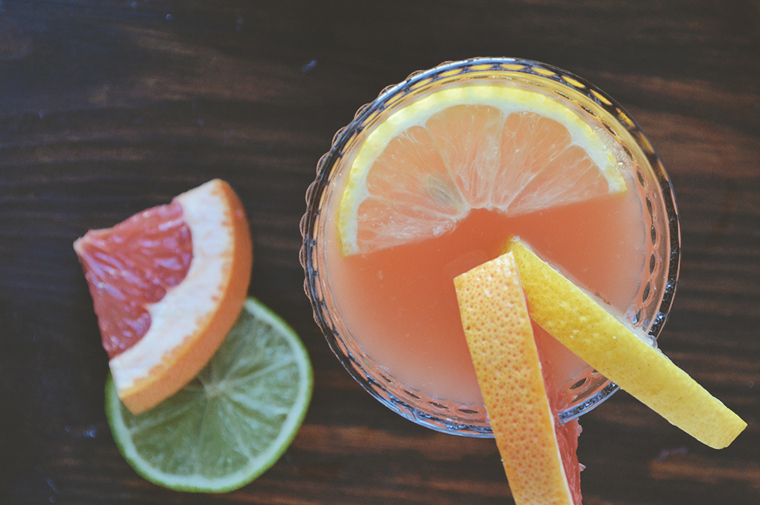 Grapefruit or blood oranges are a strange fruit. They look like a simple orange but when we open them, we are overwhelmed by a ruby ​​red, drop-dead gorgeous pulp. 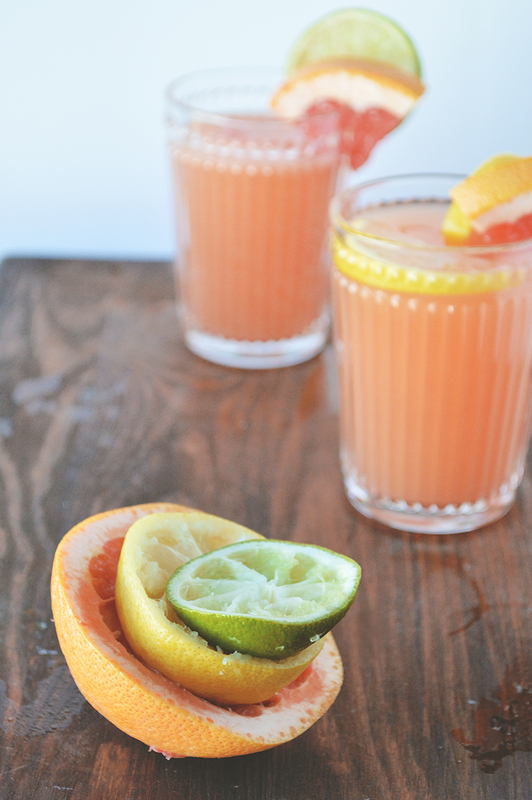 Yes grapefruits are acid, but they are so special that I decided I had to do something with them. Nothing better than a soft drink, which is sweet but at the same time has this tartiness flavour that reminds us of a lazy summer day. 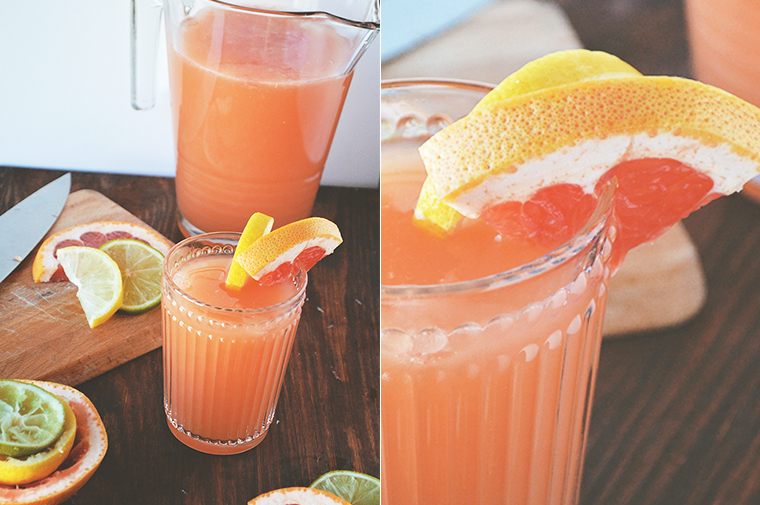 Use a jug and mix the grapefruit juice, lemon juice and lime. Pass the juice through a sieve to remove any pulp. Trow a pinch of salt and sugar syrup *. 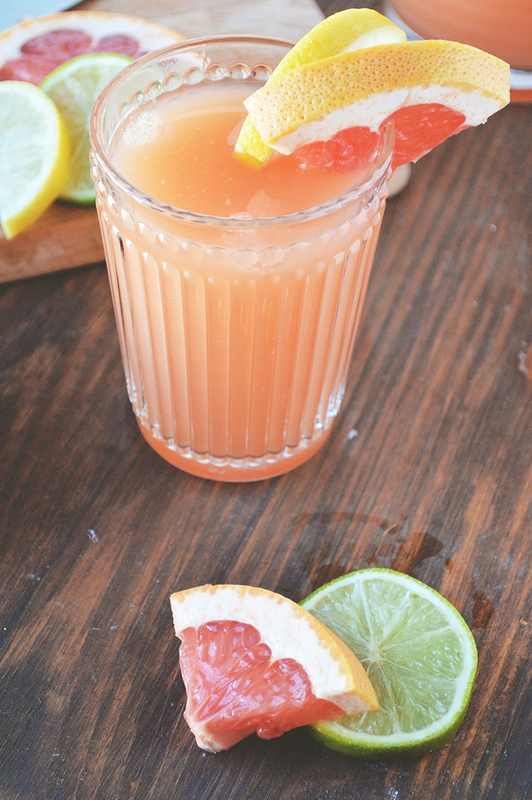 Fill half glass of grapefruit juice, lime juice and lemon juice and complete with lemon-lime soda. 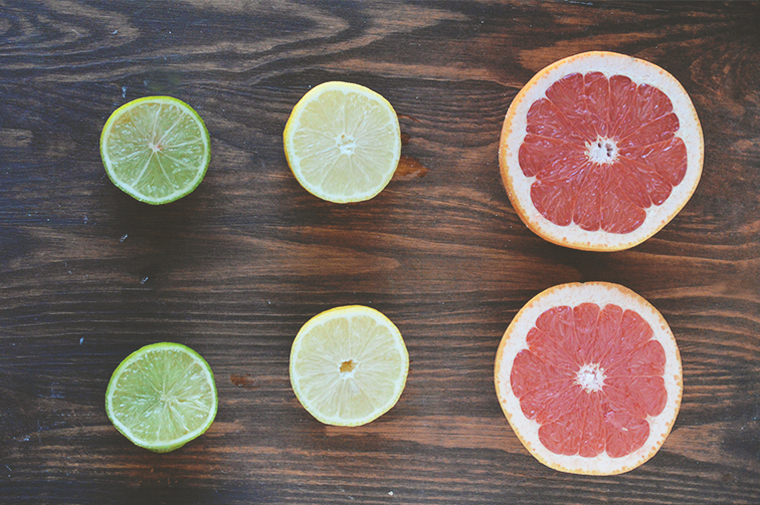 Garnish with slices of lemon and grapefruit. Absolutely refreshing! Of course, children can have this, but I don't know if it will be too acidic for them. I think that although it has no alcohol at all, it's probably better for the grownups! Sieve the sugar and put it in a medium saucepan. Place the pan over high heat and let the mixture boil, stirring to dissolve the sugar in the water. The sugar will dissolve as the water heats up. After a minute, turn off the heat and let cool. When the syrup is completely cold it is ready to bottle and store. You can use this sugar syrup to sweeten iced tea, lemonade or any cocktail! Hope you love it and have a great summer! Adoro toranjas, tenho que experimentar.